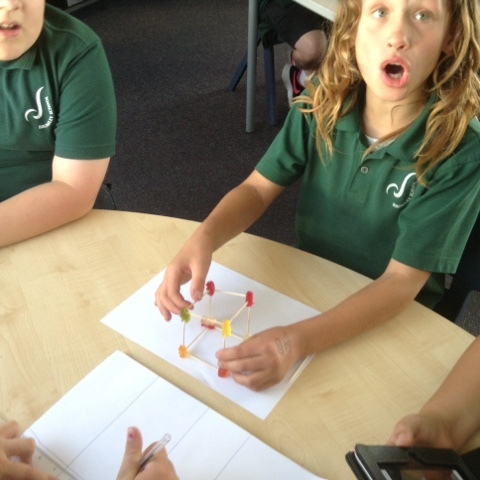 Identify shapes - we had to find different shapes in our classroom, school environment and name them. 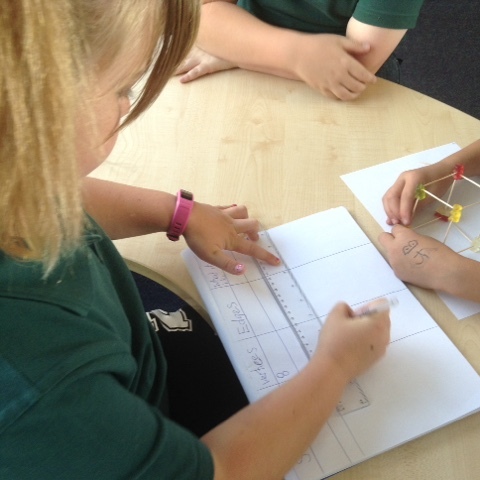 Identify some of the properties of 2D and 3D objects - in our problem solving groups, we sketched and made some shapes, we then presented them on a poster that explained the different key features of each shape (like faces, vertices and edges). 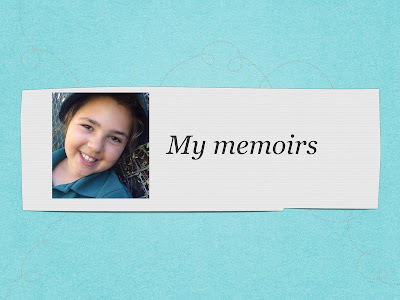 We shared this learning with the class. Use mathematical language - we have made a 'Math Vocabulary' wall, discussed the meaning of different words and added to the wall throughout our learning. 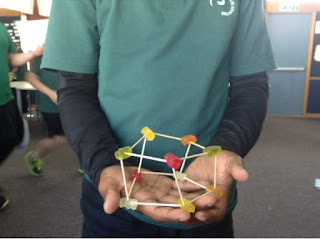 Construct 3D shapes - we made 3D shapes out of toothpicks and gummy bears. Identify and show reflection, rotation, and translation - we made a piece of artwork to represent these movements. 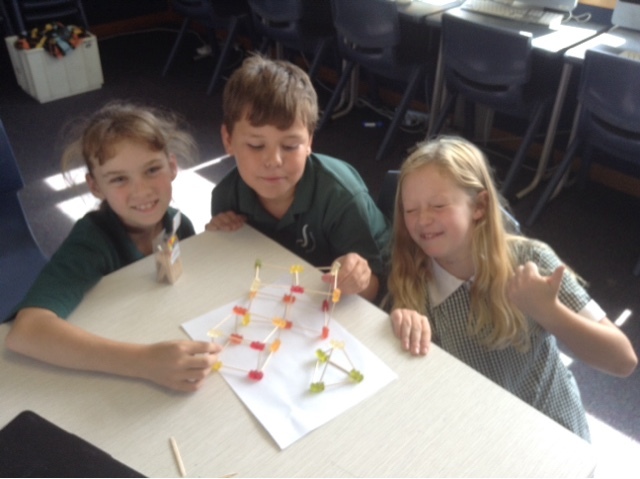 See more photos of our learning below! !